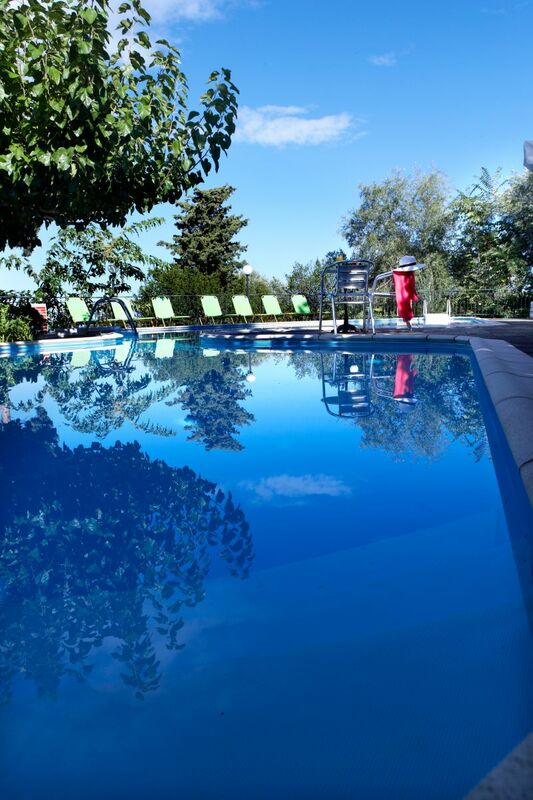 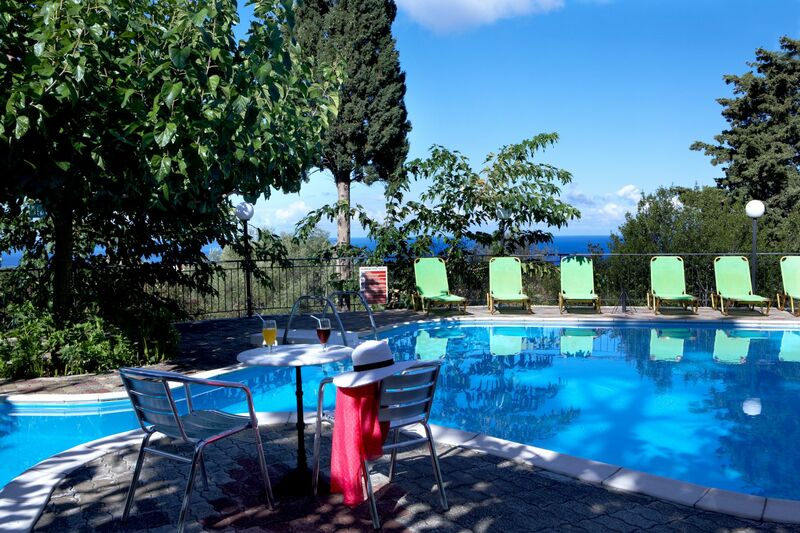 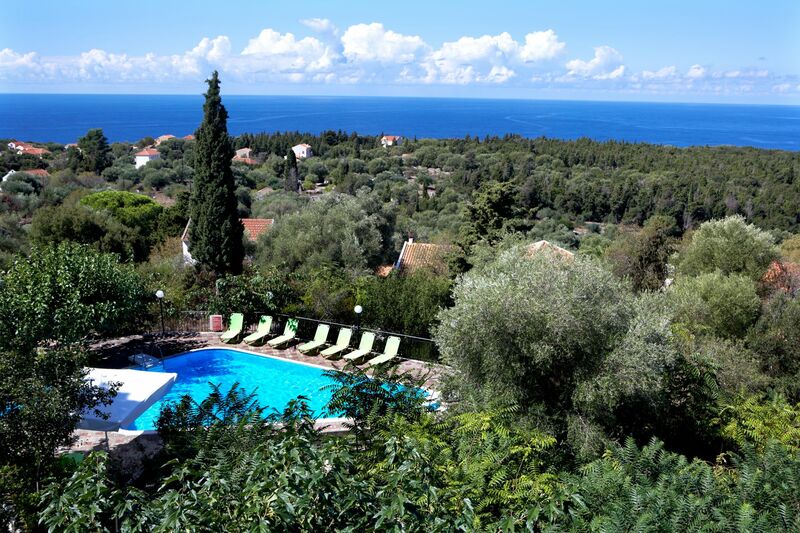 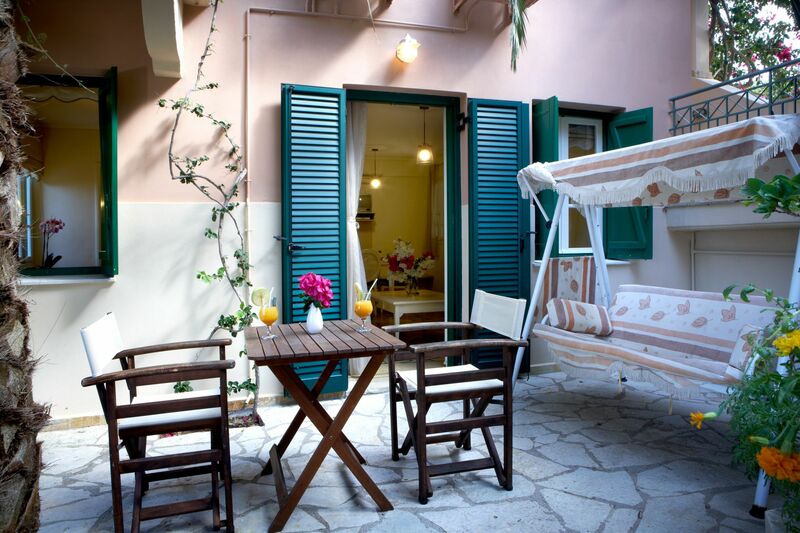 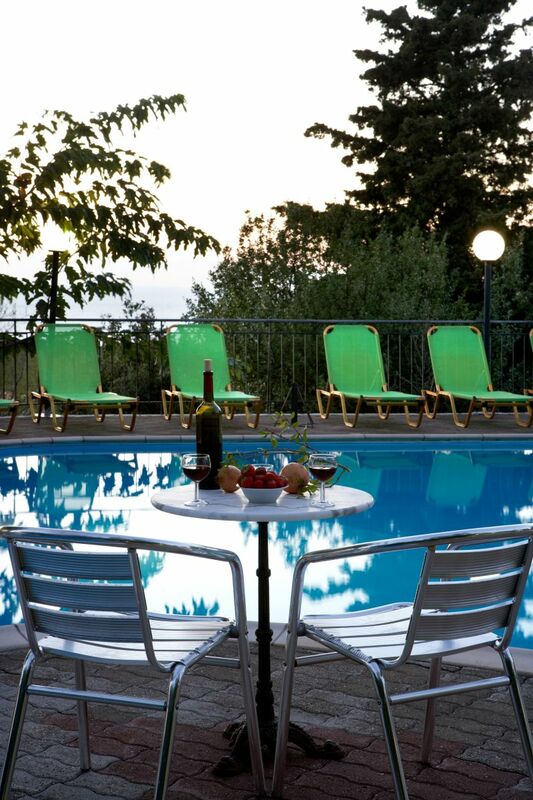 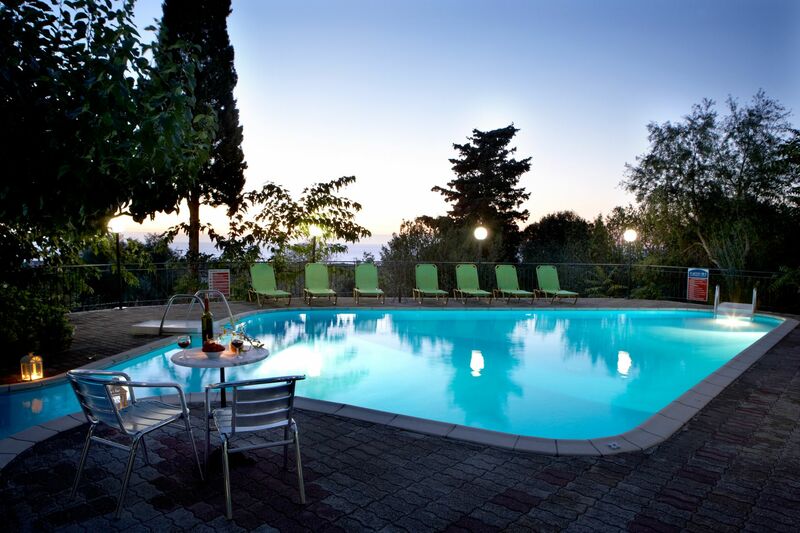 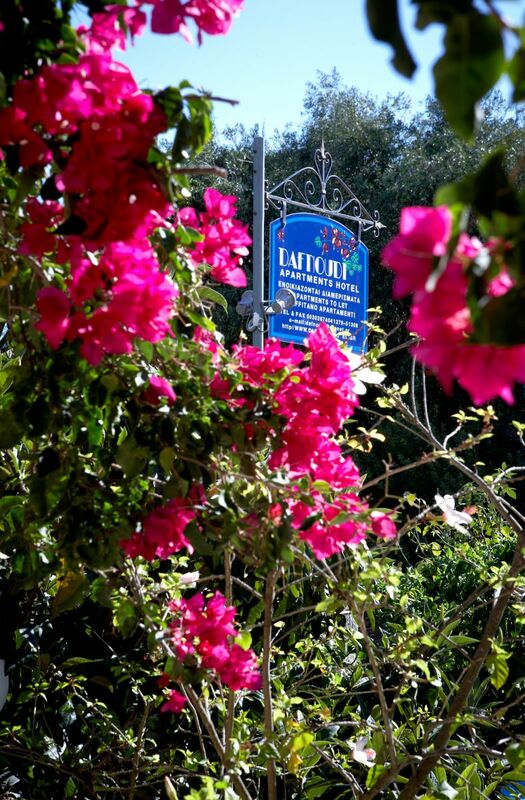 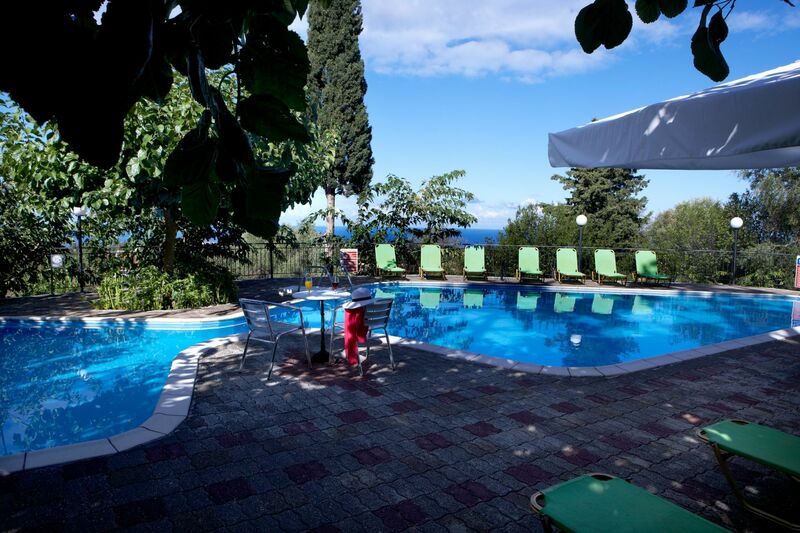 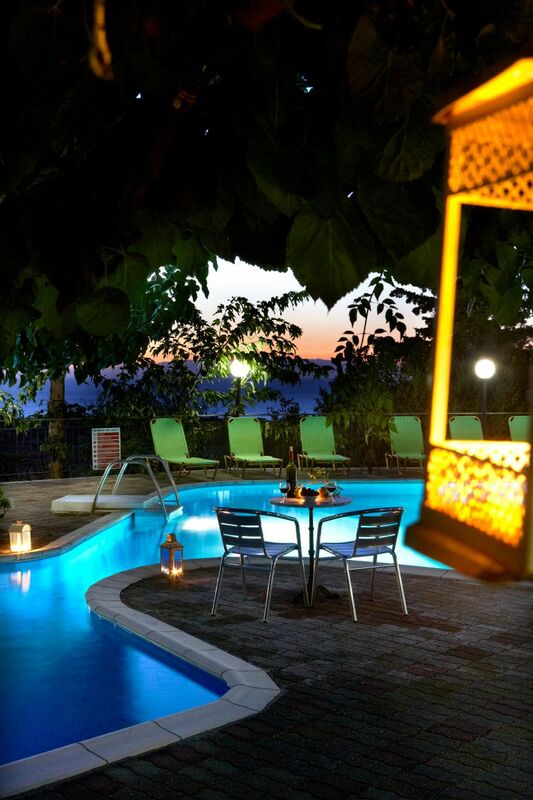 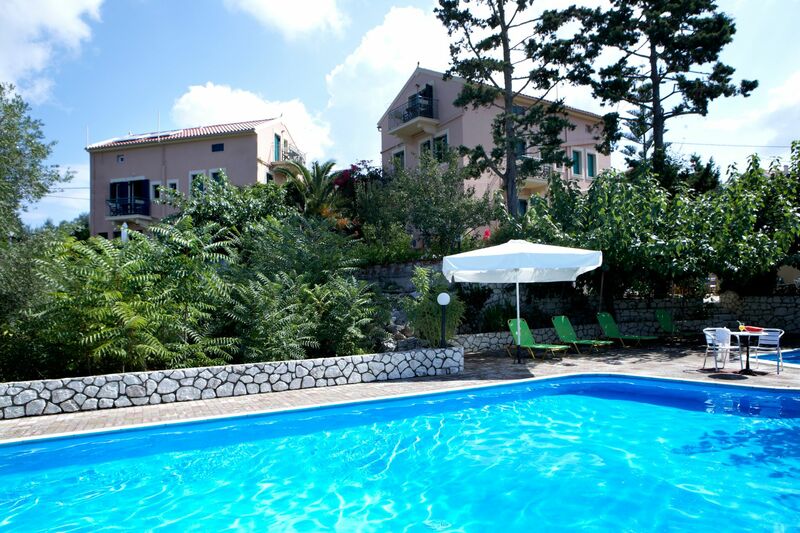 Located in the Antipata village of Erissos, Dafnoudi Apartments hotel in Kefalonia is just 2.5km from Fiskardo, a picturesque relaxing small traditional village. 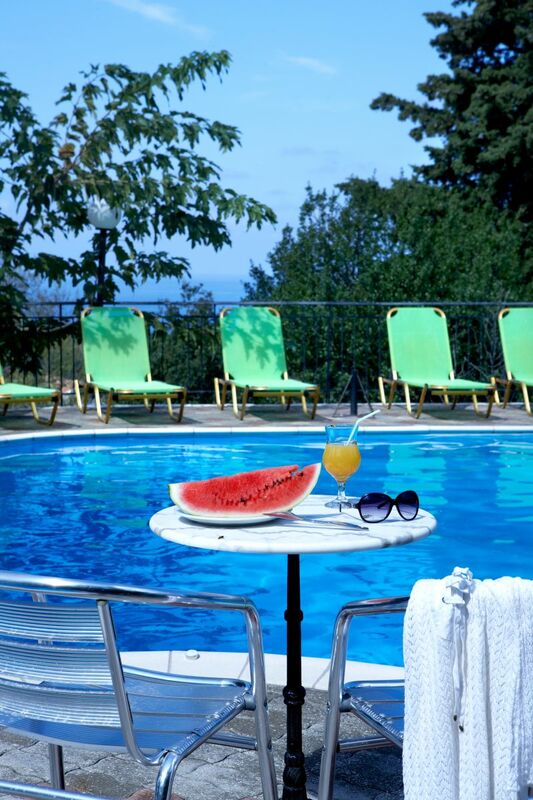 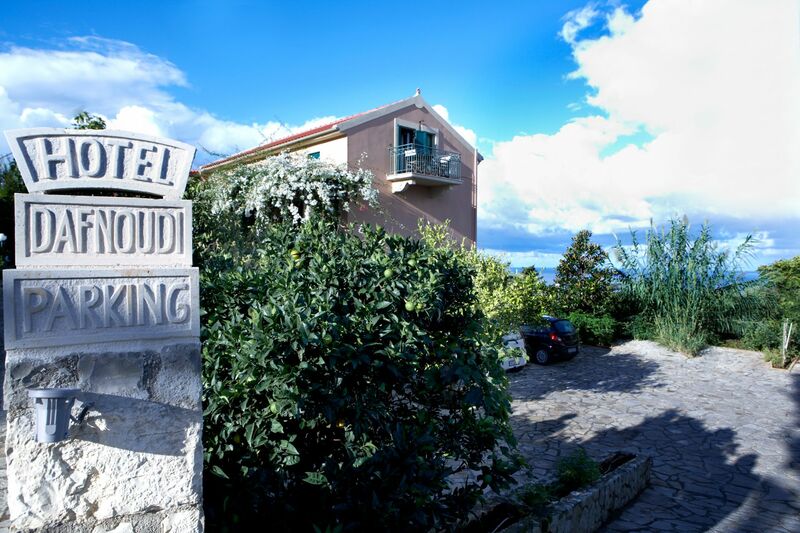 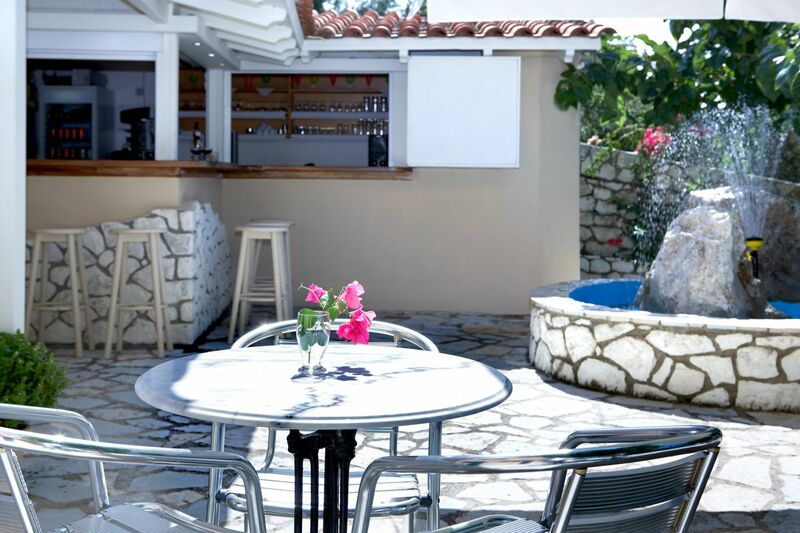 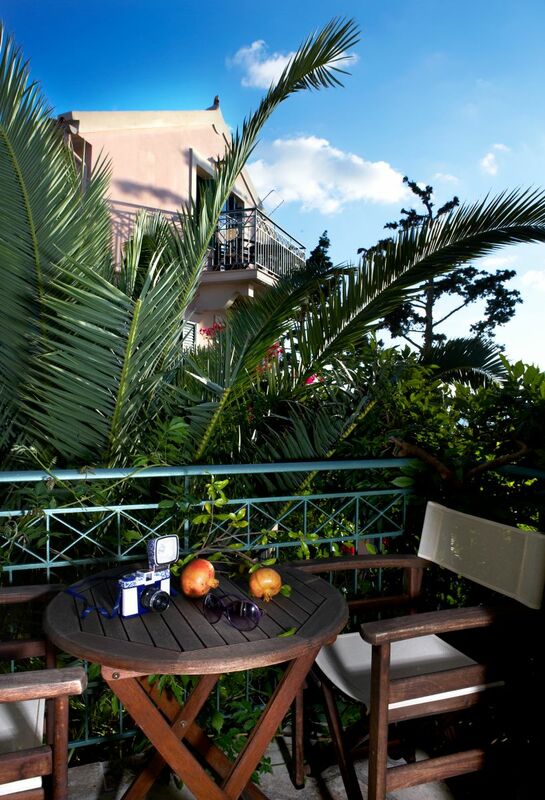 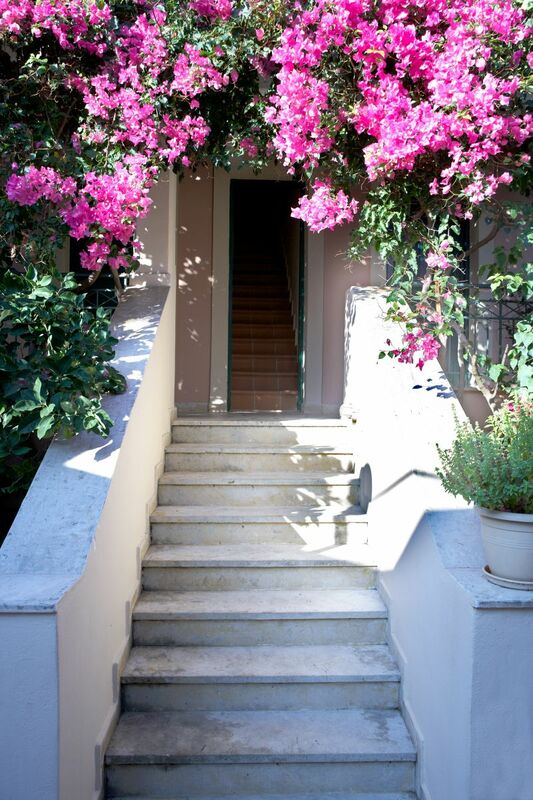 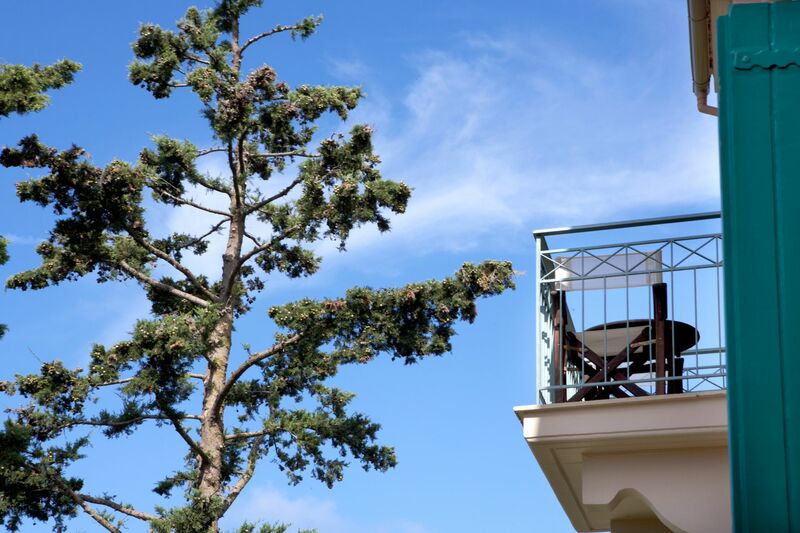 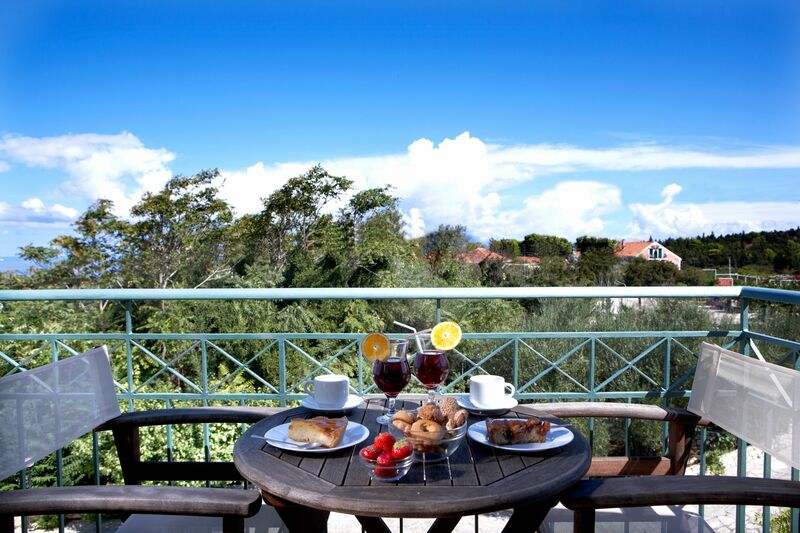 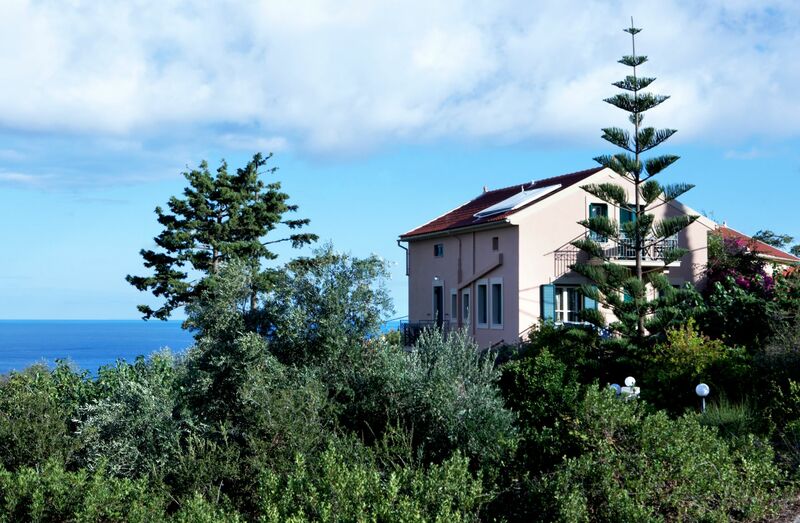 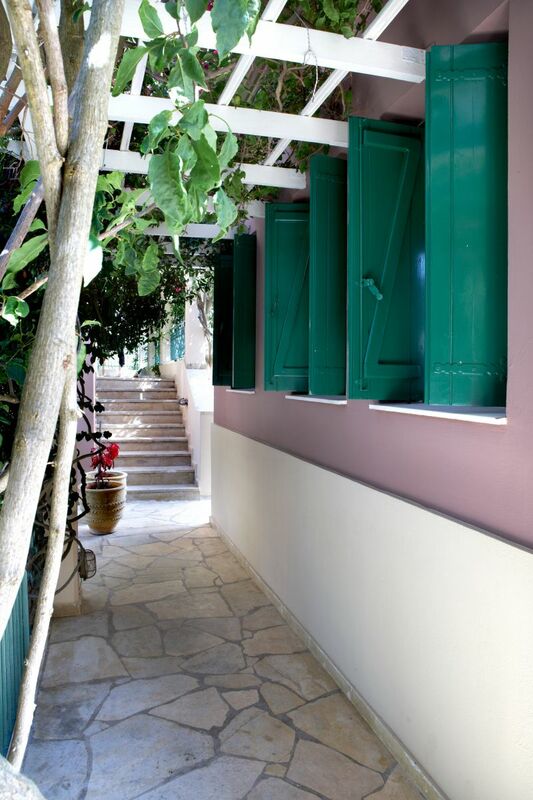 The hotel is built on a wonderful location overlooking the sea and reflects traditional Ionian Islands architecture. 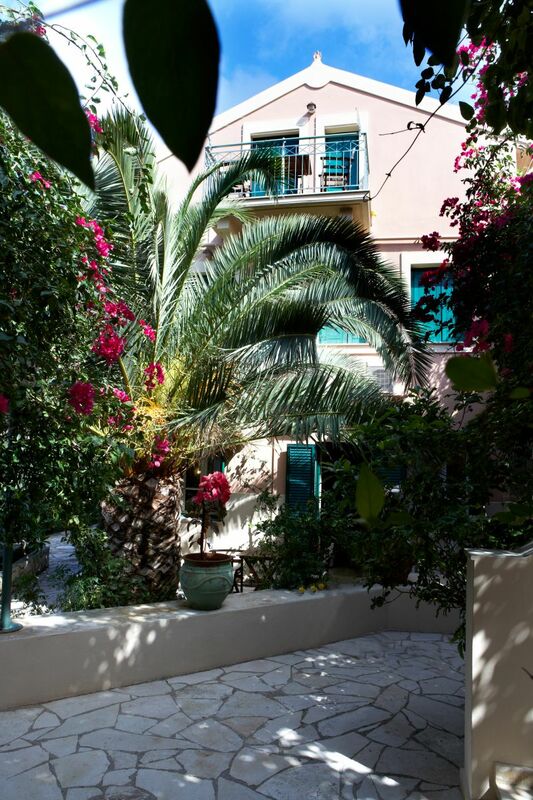 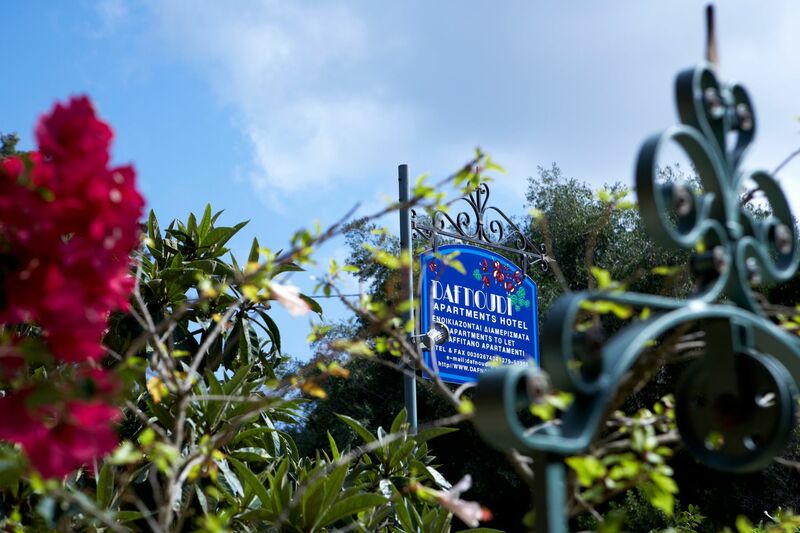 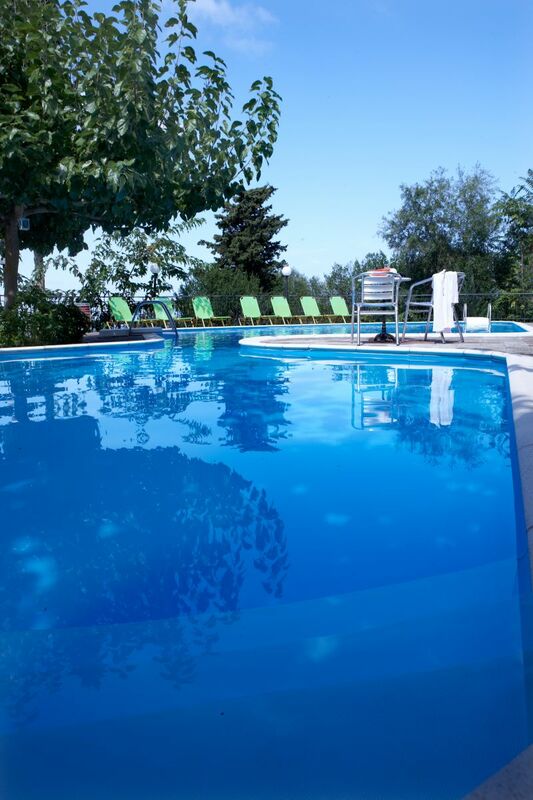 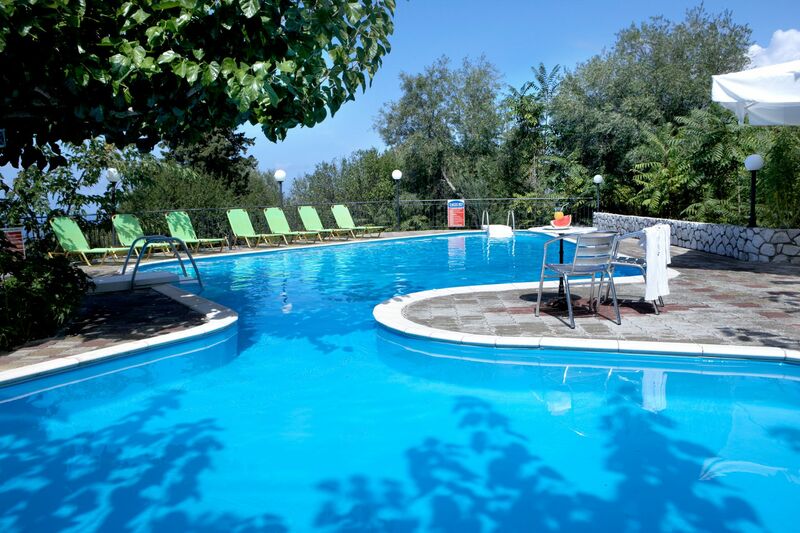 The hotel is composed of 12 fully equipped apartments and studios, each with their own private entrance. 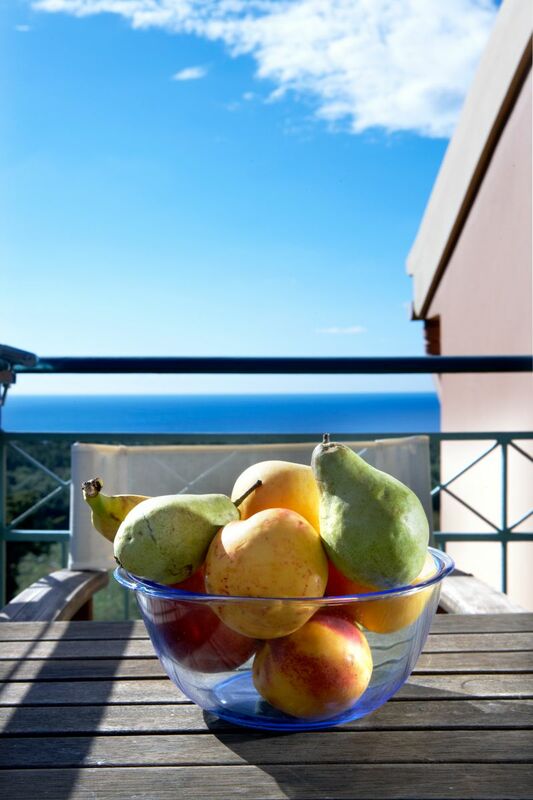 All apartments and studios have balconies or courtyard views over the sea. 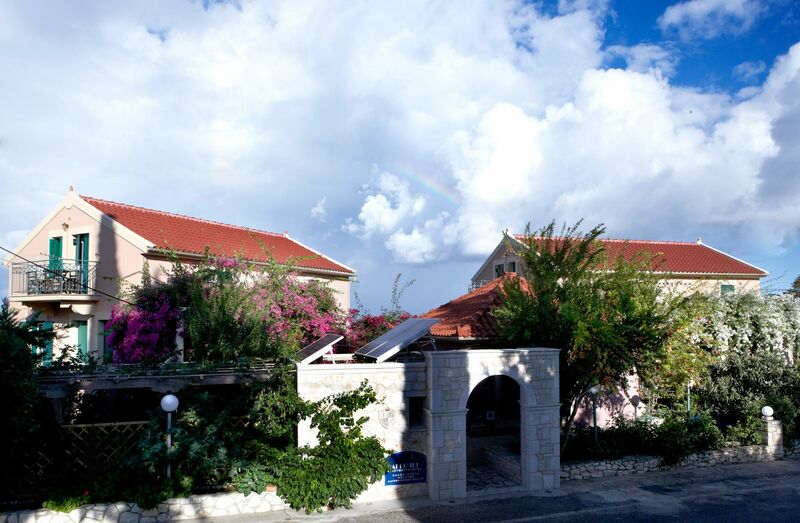 Dafnoudi Apartments Hotel in Kefalonia gives the feeling of peace and tranquility, imagine waking up to the view of the sparkling blue sea outside your window each morning. 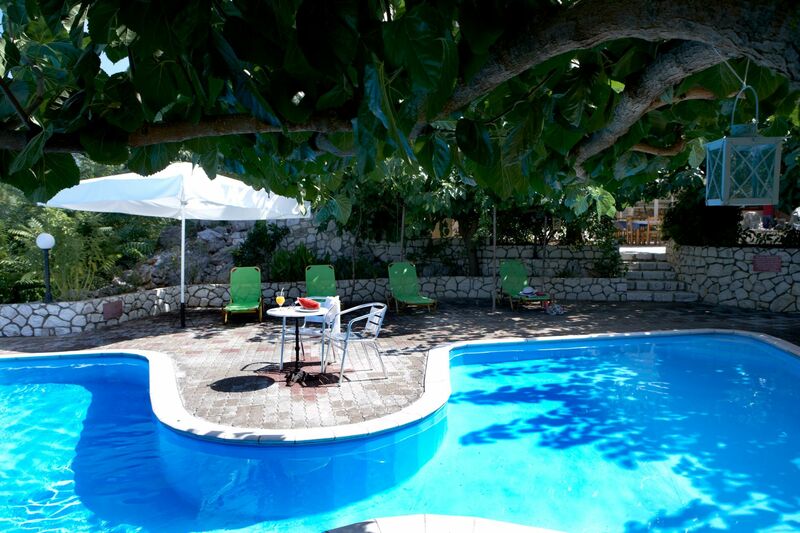 The hotel is in lush surroundings too, with native plants and trees dotted throughout the grounds and by the pool. 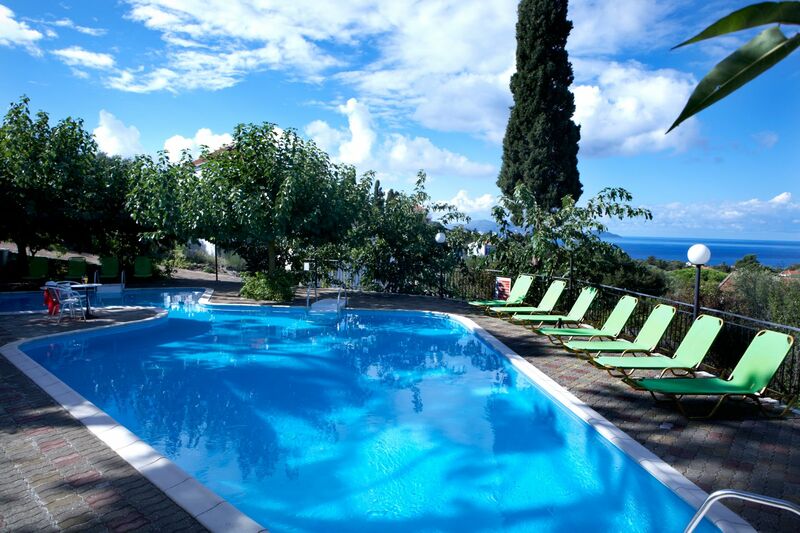 A swim in the pool not only offers breathtaking views of the sparkling blue sea, but also the most amazing sunsets. 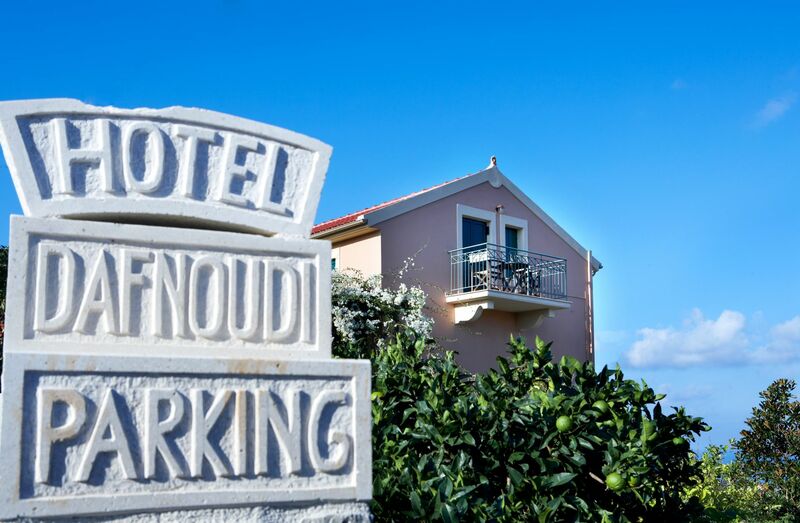 Just 2.6 km away, you’ll find Dafnoudi Beach – the hotel takes its name from it– while Emplissi and Foki beaches are also in similar distance. 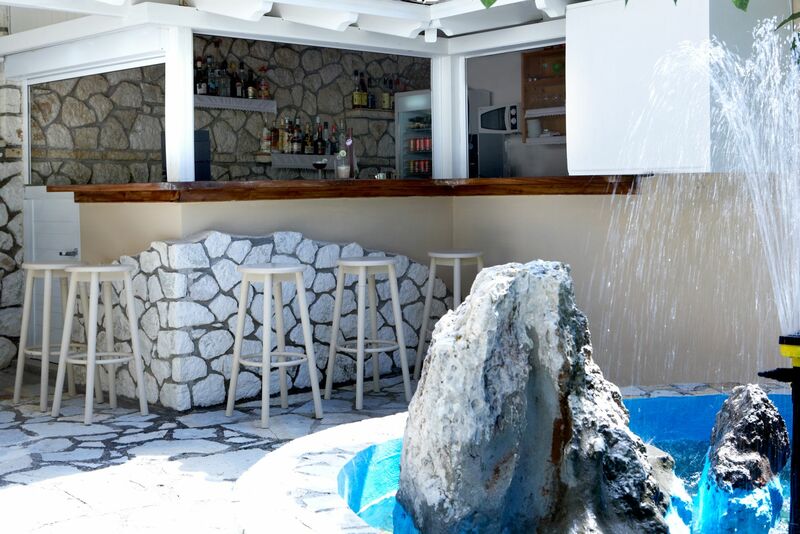 Agia Ierousalim and Alaties beaches are 5km away, but well worth the trip.